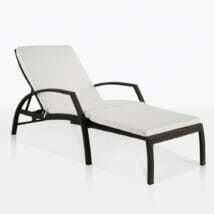 There is perhaps no other piece of outdoor furniture that better serves as an example of relaxation than the sun lounger. 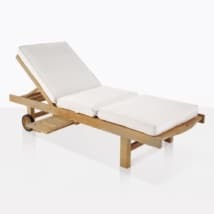 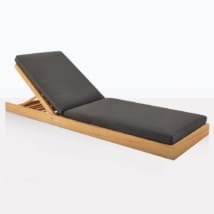 Teak Warehouse has been outfitting hotels, resorts, and other havens of relaxation for more than two decades, and offers the same high quality pieces of sun lounging furniture to all our customers, commercial and residential. 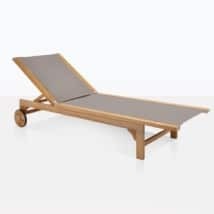 Teak Warehouse has a spectacular line of outdoor chaise lounges, Teak Sunbeds, Daybeds and loungers that are both fashionable and functional. 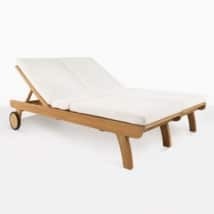 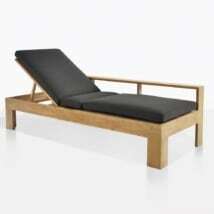 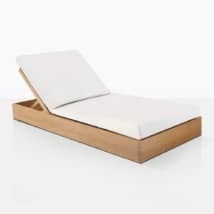 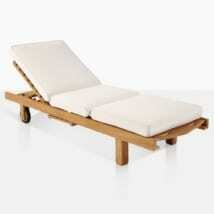 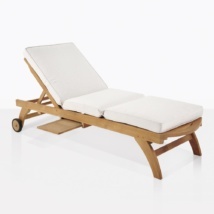 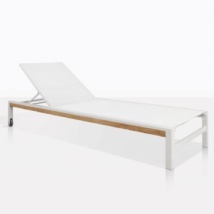 Our Teak Daybeds have been featured all over the world, but it’s our mix of materials and styles that is most impressive. 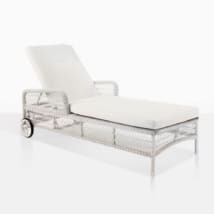 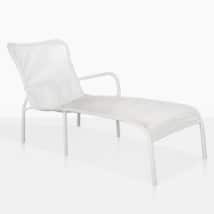 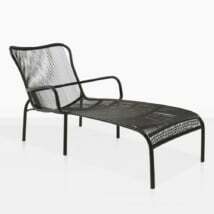 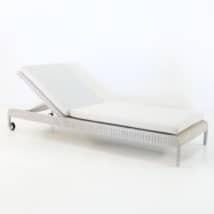 With lounging furniture made from gorgeous 316 Marine Grade Stainless Steel (the best grade in the outdoor furniture industry); A-Grade teak, sling materials like Batyline®, lightweight synthetic outdoor wicker and several others, we are the leader in stylish outdoor Chaise lounges. 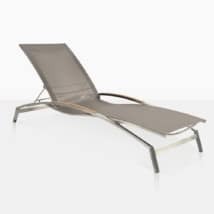 Included in the price for your sunbed, chaise or lounger is a beautiful Sunbrella® cushion, which means you’ll save money and time in finding the perfect place to enjoy the outdoor weather. 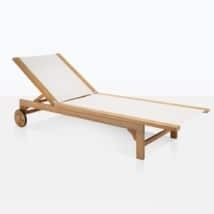 Teak Warehouse specializes in not only classic outdoor chaise lounges, Teak Sunbeds, Daybeds and loungers, but also original styles that are designed by us and unique to us. 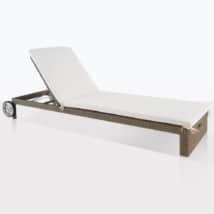 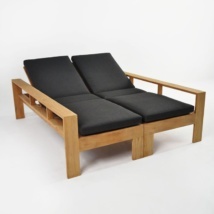 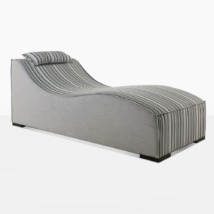 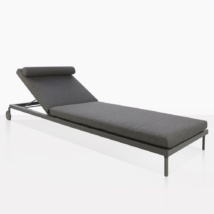 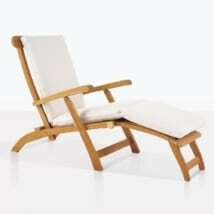 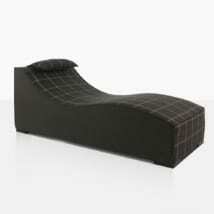 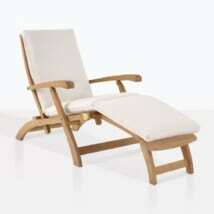 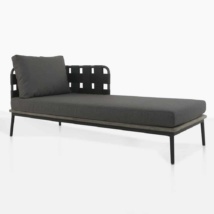 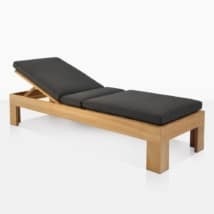 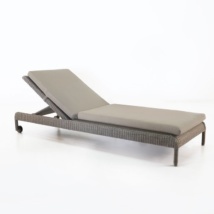 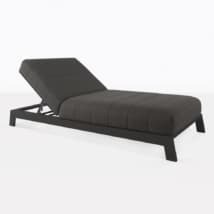 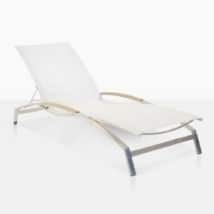 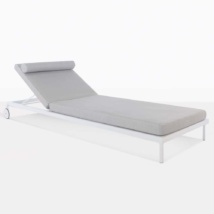 Several of our chaise loungers can be placed alone as single loungers or marry them to create a seamless double lounger. 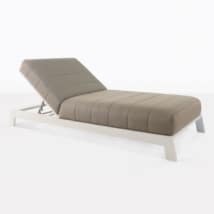 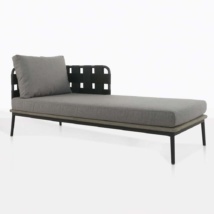 Many of our daybeds have additional pieces to accompany them in order to create a relaxing lounge area that will exceed your expectations. 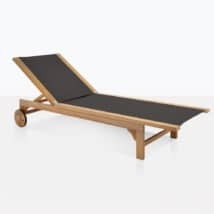 Whether you are basking in the sun or want to comfortably and stylishly relax with guests, Teak Warehouse has the selection and it is available immediately.Relax on one of our stylish, comfortable, versatile outdoor loungers today! 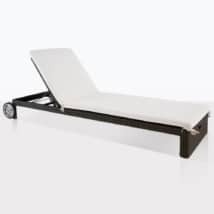 Visit one of our showrooms which are open 7 days a week from 10:00am – 6:00pm or call us TOLL FREE at (800) 343-7707 and our experienced design staff can assist in selecting the ultimate lounge area for your lifestyle.